How Does Catholicism Refute the Reasons Muslims Claim That Jesus Was Not Crucified? Muslims say Jesus didn't claim to be God. 1) When a Muslim objects to the teaching that Christ was crucified, what is their given reason that anyone ever attempted to crucify Jesus? 2) What proof does the Catholic Church present to refute or nullify those reasons Muslims give that anyone tried to crucify Jesus? 1. When a Muslim objects to the teaching that Christ was crucified, what is their given reason that anyone ever attempted to crucify Jesus? I interpret this question to mean "What does Islam teach about why the Jews wanted to crucify Jesus?" and I will attempt to address that. If I have misinterpreted OP's intent then please let me know. In short, the Qur'an says that the Jews wanted to kill Jesus for the same reasons they abused the prophets who preceded Him: for exposing the wickedness of the Jews and calling them to repentance. In this, at least, the Qur'an is somewhat in agreement with the Bible. "They have been put under humiliation [by Allah ] wherever they are overtaken, except for a covenant from Allah and a rope from the Muslims. And they have drawn upon themselves anger from Allah and have been put under destitution. That is because they disbelieved in the verses of Allah and killed the prophets without right. That is because they disobeyed and [habitually] transgressed." And [We cursed them] for their breaking of the covenant and their disbelief in the signs of Allah and their killing of the prophets without right and their saying, "Our hearts are wrapped". Rather, Allah has sealed them because of their disbelief, so they believe not, except for a few. 2. What proof does the Catholic Church present to refute or nullify those reasons Muslims give that anyone tried to crucify Jesus? I interpret this question to mean "What approach does the Catholic Church recommend employing to refute Islamic views of the Passion, namely that Christ was not crucified?" and I will attempt to address that. If I have misinterpreted OP's intent then please let me know. The Qur'an is subject to the same inaccuracies and distortions that the Bible and Torah are accused of having. The Qur'an is unclear, incomplete, or self-contradictory (even after accounting for the belief that verses in the Qur'an can be "abrogated" by other verses, which is another very deep and complicated topic). Muhammad did not faithfully convey the Qur'an as it was revealed to him by God; he added or omitted things as he saw fit. Muhammad never received any divine revelation: the Qur'an and Islam are lies. But their rejection of Jesus' death and resurrection goes deeper than the belief that the Bible is not an accurate record of the life and teachings of Christ. "And [for] their saying, "Indeed, we have killed the Messiah, Jesus, the son of Mary, the messenger of Allah ." And they did not kill him, nor did they crucify him; but [another] was made to resemble him to them. And indeed, those who differ over it are in doubt about it. They have no knowledge of it except the following of assumption. And they did not kill him, for certain." "Rather, Allah raised him to Himself. And ever is Allah Exalted in Might and Wise." On a deeper level, Muslims believe that God would never allow one of His chosen messengers to be humiliated in such a way; crucifying Jesus would have been tantamount to sinful men triumphing over God (see this Wikipedia page for a more detailed explanation). How do we refute the Qur'anic narrative that Jesus was never crucified? The Qur'an says, in surah 61 (As-Saf) ayah 14 that God supported "those who believed" (i.e. as the Apostles believed) and made their belief the predominant mode of Christianity. There is a wealth of historical evidence that belief in the Trinity and the Resurrection (in the form that we know those doctrines today) originated as early as 110 AD, and were formally adopted in the first Council of Nicaea in 325 AD and the First Council of Constantinople in 381 AD -- more than two centuries before the first verses of the Qur'an were (allegedly) revealed to Muhammad. This is indisputable historical fact. If we accept Surah 61:14, then God explicitly claims responsibility for the dominance of Trinitarianism, which is decried throughout the Qur'an as "shirk" ("polytheism"), which God abhors! Does this mean that God Himself intentionally and deliberately led believers astray?! Muslims say that Christians changed the words of Jesus over time, hence inserted false statements into the Bible where Jesus claimed to be God. (See http://www.answering-islam.org/Morin/changed.html) This claim was made long ago, before the discoveries of ancient Bible manuscripts, hymnals, fragments, the Dead Sea Scrolls and other strong evidence that no changes have been made except minor typos and a few passages that may or may not have been in the originals, none of which change any doctrines of Christianity, especially the divinity of Christ and the reality of the crucifixion and resurrection. Some Muslims hold to the swoon theory (see https://en.wikipedia.org/wiki/Swoon_hypothesis) - that Jesus was still alive when taken down from the Cross, but had passed out and looked dead. The flow of water from Jesus' side described in the Gospel of John when he was stabbed with a spear indicates that he had suffered pericardial effusion (see http://www.compellingtruth.org/blood-water-Jesus.html). You can't survive that. Such a telling detail is strong evidence of eyewitness testimony, not a later invention by someone who had never witnessed a real crucifixion. As for why people were crucified, the Romans executed thousands of people using this method, including common criminals. Claiming to be a God might upset the Romans, who maintained that Caesar was a God. For (1), you'll have to ask a question at Islam.SE. 134 All sacred Scripture is but one book, and this one book is Christ, "because all divine Scripture speaks of Christ, and all divine Scripture is fulfilled in Christ"
These Sacred scriptures include the Gospels of Matthew, Mark, Luke, and John, which all testify that Jesus was crucified, that he died, was buried, and rose on the third day according to what he said. Numerous other passages in the New Testament echo these testimonies. Because of the principle authority of the Sacred Scriptures, that is, "the word of God", from the Catholic position no further proof is required beyond the inspired testimonies of the authors of the New Testament. Not the answer you're looking for? 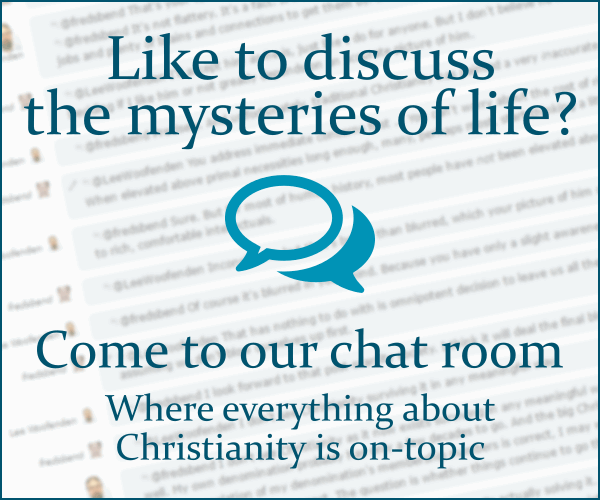 Browse other questions tagged catholicism crucifixion apologetics islam or ask your own question. How do we know that Jesus was crucified at 9:00 a.m.? Is the desire for a spiritual mother natural to mankind? Does Catholic doctrine teach that the Incarnation would have taken place regardless of Adam's decision? How are the Catholic church's teaching on plastic surgery and GRS self-consistent? Are all forms of giving equally morally 'good' according to the Catholic church? How does praying the rosary becomes a spiritual sword that can slay the dragon? What does it mean for the soul to be “immediately” created by God?